How the Americans vote in their presidential election should be only their business. But it cannot be so. 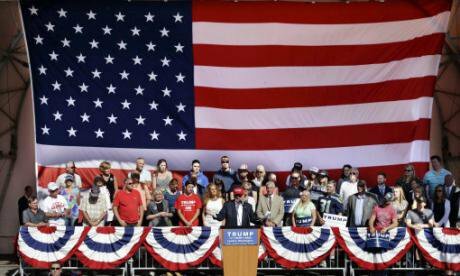 Republican presidential candidate Donald Trump speaks Saturday, May 7, 2016, in Lynden, Wash. Elaine Thompson / Press Association. All rights reserved.No military coup has taken place in recent weeks. No elected prime minister has been beheaded. No nation has suspended its constitution. And yet a debate rages on the dangers facing the democratic order. The irresistible rise of one Donald Trump in US politics has made a commentator call the ongoing presidential election campaign, “dystopian”.